Below The Turret Ring: PMMC G5 - the ultimate M113? PMMC G5 - the ultimate M113? The protected mission module carrier (PMMC) G5 from the German company FFG Flensburger Fahrzeugbau Gesellschaft mbH seems to be an ideal replacement for the M113 and similar APCs adopted for multiple specialized roles . At least in their video the G5 seems to be an impressive vehicle, even if you try to filter out all the marketing talk. The PMMC G5 essentially seems to be the answer to the question "How would a company create a modern version of the M113 from the sketch?". This is not really a surprise, considering that FFG's history in the AFV market is mostly limited to maintenance and upgrading the M113, with delivering (or maintaining) more than 1500 vehicles to Germany, Denmark, Australia, Lithuania and Norway. other tasks at the frontline. The usage of many (military and civilian) "off the shelf" components reduces costs. The G5 is larger than the M113, with a total of 14.5 m³ armored interior volume and a maximum payload of 8.5 metric tons. The gross vehicle weight is 26.5 metric tons. 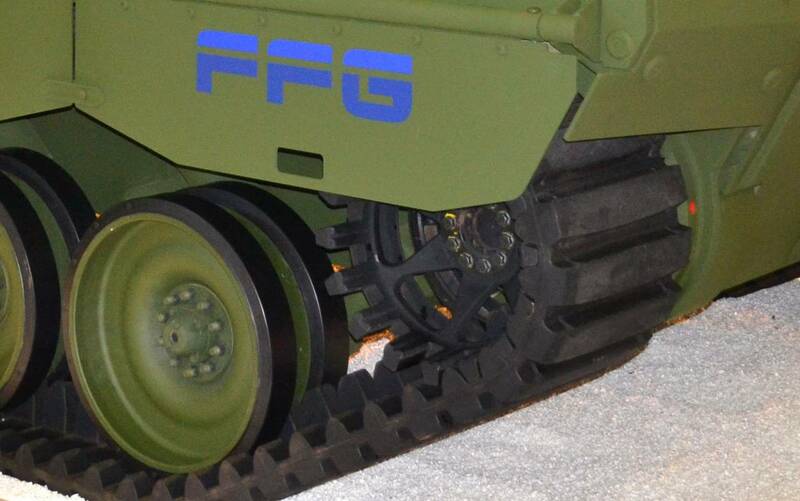 According to FFG, one of the main features of the PMMC G5 is the high level of protection, which includes integrated protection against (I suppose smaller) mines and IEDs. 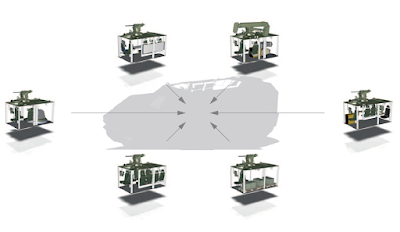 Armor protection with applique armor is offered against RPGs and heavy machine gun calibres. The vehicle utilizes a 410 kW (550 hp) MTU high-density power engine coupled with a ZF Friedrichshafen transmission. The G5 is fitted with rubber band tracks, supposedly it has a lower noise level than comparable AFVs. A further area of improvments over the M113 and many other older light/medium AFVs is the improved vision concept. The driver is located in a dome extruding from the vehicle front. He has a large field of view thanks to several windows of armored glass, which seem to cover approximately an arc of 180°. Different versions of close area surveillance systems/cameras can be mounted on the G5. The commander is provided with a cupola. One outstanding feature of the FFG is a modular design. While not being as modular as the Boxer from Artec GmbH or the (canceled) Splitterskyddad enhetsplattform, it is still a serious advantage for multi-purpose vehicles to be (semi-)modular. The idea: The vehicle uses mission modules (hence the name PMMC), which consist of a floor and roof panel and everything inbetween. The mission module does not contain anything relevant to the normal characteristics of the vehicle like the suspension, the driver's place or the engine. It should be possible to develop another chassis (e.g. a wheeled chassis or a better protected one), which could support the same modules as the PMMC G5. When not in use, the mission modules can be stored in standard ISO containers. FFG has proposed a number of different modules, which can be seen as CGI in their videos and brochures. These include an armored personnel carrier, a command post vehicle, an armored recovery vehicle, a mortar carrier, and an ambulance vehicle. The original G5 prototype was either demonstrated unarmed - it appears likely that this version was able to install a pintle-mounted machine gun - or later with a FLW 200 remote weapon station from KMW. The FLW 200 can be fitted with 7.62 mm or 12.7 mm machine guns or alternatively with a 40 mm automatic grenade launcher. 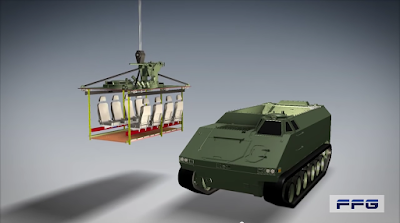 Later a prototype with the improved FLW 200+ remote weapon station was demonstrated. The FLW 200+ RWS is able to accept larger weapons including the RH202 20 mm autocannon of the Marder IFV. The FLW 200 was fitted on the left side of the hull, directly behind the driver's dome. The FLW 200+ however was mounted in the center of the vehicle (or even a bit to the right side of the hull). It is located on a extension to allow further gun depression. It seems that different armor sets have already been adapted for the G5. The basic G5 vehicle is an all-welded construction of metal - most likely aluminium or steel. In the FFG promo video for the G5, a version fitted with spaced applique armor can be seen. A further version applique armor fitted to the G5 was presented during Eurosatory 2014. This applique armor is mounted with a different type of bolts, which seems to be identical to the bolts used on the M1117 or the LAV III, when fitted with MEXAS ceramic composite armor. Hence I would assume, that this version of the G5 is fitted with MEXAS or AMAP ceramic armor. The vehicle is fitted with protective plating against mines and IEDs. Additional "lightweight" protection against rocket-propelled grenades can be adapted on the G5. It seems that this is a type of slat or net armor. The G5 has also been fitted with the Barracuda MCS from SAAB. Unfortunately the only known evaluation in which the G5 participated, was the Danish evaluation for a M113 replacement. While FFG had strong ties with the Danish government (i.e. by delivering several upgrades for the M113), the Danish army decided to go for a wheeled APC with the 8 x 8 Piranha 5. Author's opinion: As previously mentioned, the G5 is not perfect. 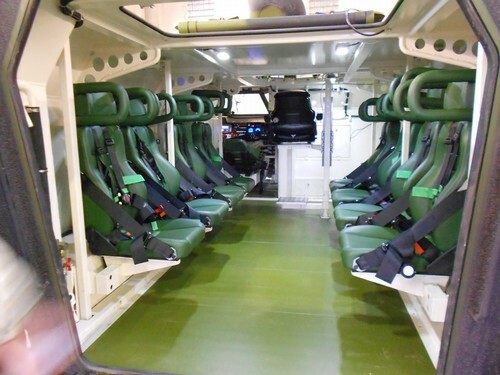 It lacks mine protected seats as used on the German Puma IFV or the Boxer. The vehicle is also not amphibious, which limits the market to which it can be sold. 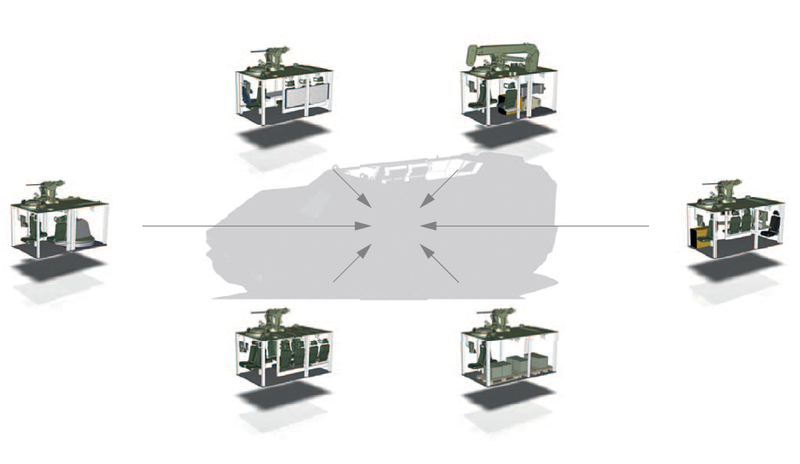 Recently a lot of companies have offered multi-role vehicles based refurbished or new production Infantry Fighting Vehicles in the medium weight role. 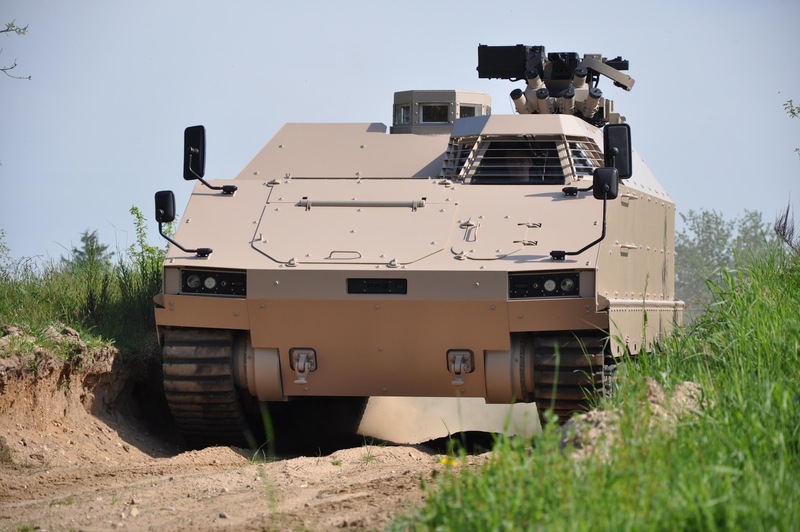 This includes BAE, which offers the CV90 Armadillo and the Bradley AMPV (as selected by the US Army), Rheinmetall (offering the Marder APC) and General Dynamics European Land Systems offering the ASCOD 2 APC. 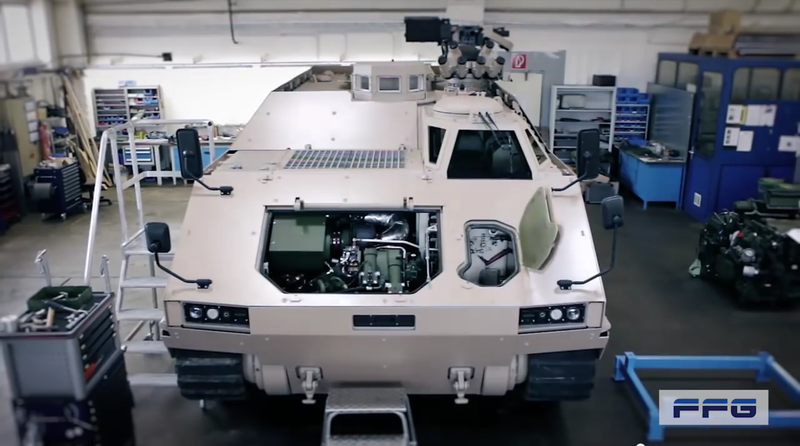 With Denmark having chosen the Piranha 5, while Germany and the Netherlands are using the Boxer to replace most of their M113s, the market situation for the PMMC G5 is not ideal. However there are still numerous versions of the Fuchs, M113, VAB, FV432 and the AIFV that should be replaced in the next decade - that is the chance for the PMMC G5 to shine. There still seem to be hopes of selling the G5 to Germany, at least during a recent presentation in mid-May, a mobile command post version was demonstrated. On the other hand, the G5's ancestors, the M113 G3 and M113 G4 upgrades would probably do the same job just a tiny bit worse, but for lower costs. The defence spendings in Europe have risen following the Ukraine conflict, but this money is focused on tanks and IFVs. This design is good and thanks to you for presenting this wonderful article to us. Keep it up and keep posting wonderful and informational stuff. My new blog "Below The Turret Ring"